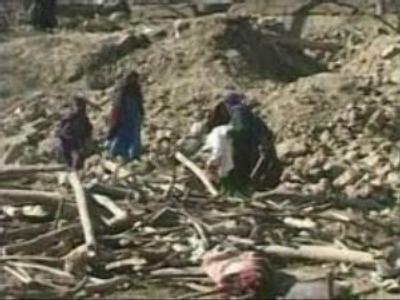 In Afghanistan, a family of 9 has been killed in U.S. air strikes on their home, which completely demolished the mud-brick building. President Hamid Karzai has condemned the strikes, calling for coalition forces to show more restraint. The U.S. military says the bombs were dropped after armed militants entered the area following an assault on a nearby U.S. airbase. It's the second time civilians have been killed by coalition fire in as many days.